Ryan Doherty is a VP, Literary Development at Sony Pictures Entertainment, looking for book to film and TV opportunities. Previously he was a senior editor at Ballantine Bantam Dell where he edited Dan Fagin’s Tom’s River: A Story of Science and Salvation, the 2014 Pulitzer Prize Winner for General Nonfiction, Jim Henson: The Biography by Brian Jay Jones, and the #1 New York Times bestselling graphic novel Seconds by Bryan Lee O’Malley. Wes Fang is the sales and marketing coordinator at Shelton Interactive. He assists clients by growing their platforms through proven, methodical marketing strategies in public relations, social media and web design. Prior to joining the team at Shelton Interactive, Wes worked at a venture capital firm helping startups raise capital. His previous work also includes building pricing models for Fortune 100 companies, serving as a senior editor to a leading tech blog, and helping brands and individuals bootstrap their way to success. In his off time, you can find Wes hammock-ing with a book and a cup of cold brew in hand. Lance Fitzgerald has two decades experience in subsidiary rights, and is currently VP, Director of Subsidiary Rights for The Crown Publishing Group at Penguin Random House. Prior to that, he sold rights for Simon & Schuster and Putnam Penguin. He has sold rights for number one New York Times best-selling books including 41: A Portrait of My Father by George W. Bush, Gone Girl by Gillian Flynn, Hard Choices by Hillary Rodham Clinton, and The Help by Kathryn Stockett. Other best-selling authors he has worked with include Andy Weir, Anthony Marra, Cynthia Bond, Mary Higgins Clark, Tom Clancy, Deepak Chopra, David McCullough, Walter Isaacson, and Bob Woodward. He is a member of the International Rights Directors Advisory Board, and has been a featured speaker at the Writer’s League of Texas, the Authors and Artists Representatives, the Columbia and NYU Summer Publishing courses, the Young-to-Publishing Group, and Slice Writers Conference. Linda McFall has worked in publishing for over twenty years at a variety of houses including Picador, St. Martin's Press, Viking/Penguin, and Harlequin/Mira. She started her career as a publicist and then worked her way to becoming a Senior Editor. Some of the best-selling authors she has worked with are Heather Graham, Alex Kava, J.T. Ellison, Joan Johnston, and Caryn James. 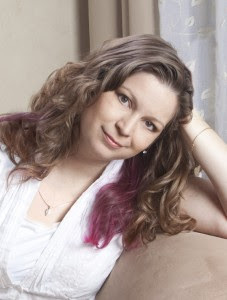 She is currently a freelance editor specializing in thrillers, romantic suspense, and commercial fiction. She lives in Chicago with her family and can be reached at lmcdutta@gmail.com. Michael Noll teaches writing at Texas State University and edits Read to Write Stories, a site that offers writing exercises based on published stories, novel excerpts, and essays. His work has been published at American Short Fiction, Chattahoochee Review, Ellery Queen's Mystery Magazine, Narrative Magazine, Huffington Post, and The Good Men Project. He was formerly the writer in residence at the Katherine Anne Porter House in Kyle, TX. He’s currently at work on a story collection set in rural Kansas and a novel, Seven Attacks of the Dead. Deanna Roy is the author of 30 titles under five pen names. After gathering over 200 agent rejections over six years, she decided to make the leap to self-publishing. Since then, she has hit the USA Today bestseller list six times under three pen names, and has sold over 300,000 copies of her books and serials.